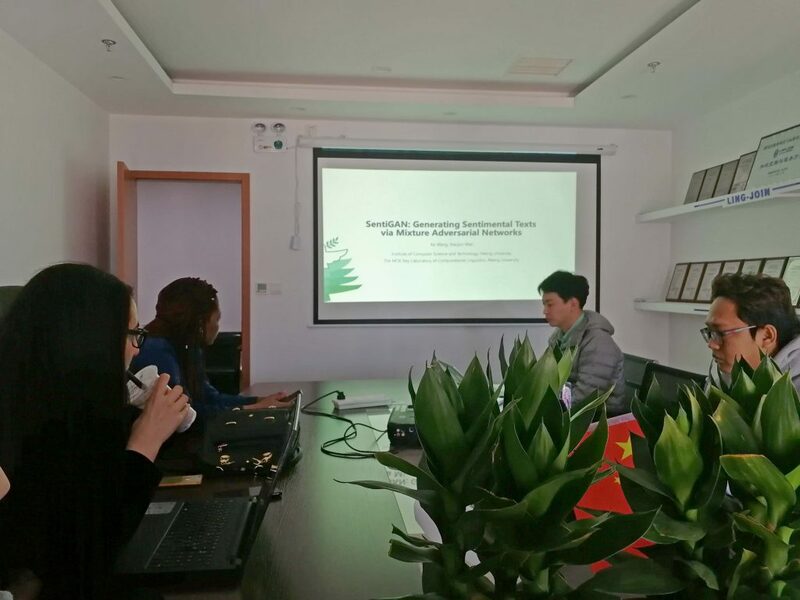 Last Monday, Ziyu Liu gave a presentation about the paper, SentiGAN: Generating Sentimental Texts via Mixture Adversarial Networks, and shared some opinion on it. The evaluation metrics to measure the quality of generated sentences contains four aspects – fluency, novelty, diversity and intelligibility. Through the case study, the sentences produced by SentiGAN are more readable and of higher quality.